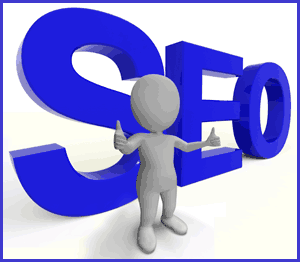 Local Search Engine Optimization and Links are vital to coming up in local searches. Depending on who you ask it is imperative that you get listed in major or all the local directories. Naturally the companies that provide these services want you to believe that. Others are skeptical but it probably helps local businesses get their first links. I investigated services that provide immediate results like YEXT and Moz Local but those can be pricey and the links disappear once you drop the subscription. I also investigated services like Bright Local that create the listings for you at a reasonable price. Here is a good review of some of the services. After trials of some of these services, I came to the conclusion that it was best to create the listings myself. That involves a lot of time and it may not amount too much SEO improvement but it will give you a starting point for your overall SEO . Since there are numerous directories, you will have to come up with standardized keywords, descriptions and contact information that you can copy & paste into all the various directories. In other words, you have to analyze your site & goals. There are still some aggregators that require payment so you can’t get on those without paying fees. If you feel you have to be listed on these the best value is probably Moz Local. If you want permanent listings and don’t have the time to do it yourself then Bright Local is a good option. If you have deep pockets then YEXT will get you listed easily for as long as you pay the subscription. While some may not be interested in the majority of the directories it’s hard to ignore the benefits of having some listings like Facebook & Google+ business pages.